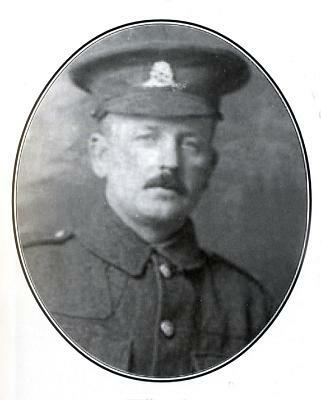 Killed in action 8th August, 1915, age unknown.8th Battalion, Welsh Fusiliers. William Smith lived at 22, Duke Street, Leek, and worked for the local building firm of Thomas Grace and was one of three brothers to lose their lives in the war. He volunteered for the Army and, after training, was sent to Gallipoli where the ill-fated Dardanelles campaign was under way. Only two days after his battalion landed at Suvla Bay on the Gallipoli Peninsula, the men were sent uphill to attack Turkish positions. As dawn broke, some of the soldiers were caught out in the open and hit by enemy gunfire. William Smith was amongst the dead. His body was lost and he is commemorated on the Helles Memorial. His two brothers, Thomas (died 22.08.1915) and Sam (died 29.6.1916), also lost their lives serving their country. Their mother died in late 1915, a broken woman, having by that time lost two of her three sons.